The annual lecture of the Jane Grigson Trust is held at the internationally renowned Oxford Symposium on Food & Cookery founded in 1981 by Alan Davidson, pre-eminent food historian and author of The Oxford Companion to Food, with Theodore Zeldin, the celebrated social historian of France. 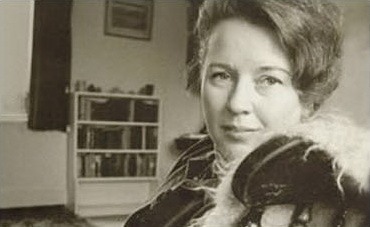 The distinguished food writers, Jane Grigson and Elizabeth David were also participants. The 2018 Jane Grigson Trust Lecture was delivered on Friday 6th July by ecologist Dr Elinor Breman, of the Millennium Seed Bank at the Royal Botanic Gardens at Kew. The inaugural JGT Lecture was delivered in 2011 by Professor Richard Wrangham, Ruth Moore Professor of Anthropology at Harvard University who spoke on the subject of his book, ‘Catching Fire: How Cooking Made Us Human’. In 2012 the speaker was David Thompson, the Australian chef, restaurateur and notable food writer whose books include ‘Thai Food’, a comprehensive work that deals with its history, social aspects and cooking. Under the title: ‘Eating History – the Perishable Art of Food’ the lecture was delivered in 2013 by Joan Smith, columnist, broadcaster, novelist, essayist, and author of the anthology ‘Hungry for You: From Cannabalism to Seduction’. The 2014 lecture was given by Darina Allen on the subject ‘Food and Markets’. For 30 years Darina has been principal of Ballymaloe Cookery School, she is a highly-respected author, culinary educator and campaigner for local food, setting up Ireland’s first farmer’s market. Anne Willan, well-known author of food books and founder of La Varenne cookery school, delivered the 2015 lecture on the history of cooking. Anne co-authored with her husband, Mark Cherniavsky, ‘The Cookbook Library’, a comprehensive history of four centuries of European cooking that made the modern cook. Under the title, ‘Sustainable Diets: an offaly good idea but what will it take to get there?’, Tim Lang, Professor of Food Policy at London’s City University, gave the 2016 lecture. He examined how local and global food policy addresses the environment, health, social justice, and citizens. The 2017 lecture, entitled ‘A Challenging Landscape: Scotland’s Food and Drink Assets’ was delivered by Catherine Brown, the authoritative Scottish food historian and award-winning cookery book author, on the revival of small-scale farming in the Highlands and Islands of Scotland. To read a transcript of Jane’s Lecture (updated in May 2018), follow this link.